Konami is celebrating its 50th anniversary and is bringing out some classic games to the Nintendo Switch. 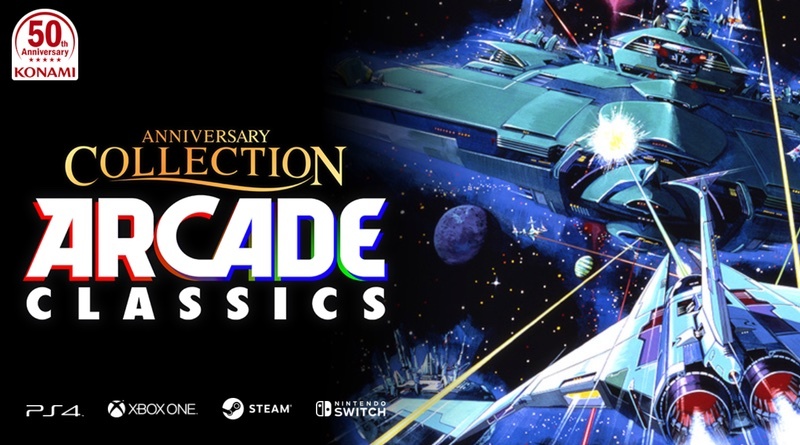 The first Konami Anniversary Collection is called Arcade Classics and will arrive via the eShop on April 18, 2019. It includes eight arcade games: Haunted Castle (arcade Castlevania), Typhoon (A-Jax), Nemesis (Gradius), Vulcan Venture (Gradius II), Life Force (Salamander), Thunder Cross, Scramble, and TwinBee. According to Konami the games will be enhanced with modern features. The collection will also include a bonus eBook that will contain information about the games. Things like interviews with the development staff, sketches, designs, and documents never before revealed to the public will be featured!